Goat-Butchering, Baking, and Updates.. – Y is For Home! The early winter is here. We have firewood stacked up the wall of the house, early darkness, and long nights. 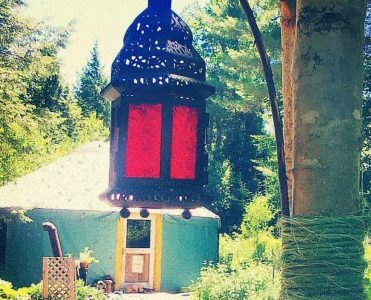 The yurt is one of the coziest places to spend a winter evening though, with wood fires burning and candles flickering, it’s a great time to write or read quietly, play games or just sip tea. The kids and I baked away the day yesterday: Biscotti, bread, ginger-orange scones, and focaccia. I made chili for dinner last night, and fish chowder will be simmering away on the stove this afternoon while I bake cornbread and apple tarts. Autumn and winter are our best times for baking. It’s cold enough outside that pie-dough, puff-paste, and bagels on their final ‘rest’ before the boiling pot can chill easily, and it’s nice to get the house full of warm, fresh scents! We eat a lot of soups as well: lamb stew and creamy chicken and dumpling have kept our lingering, November cough soothed recently. But this morning we butchered a goat. One of our new goats, Lilith, came to us with nuerological damage. She was slightly unbalanced and less graceful than her fellows when she arrived in late August, and as the year passed, her damage became more and more obvious. We started to wonder if she’d be safe on the ice and snow, and if she’d be warm enough to last through winter, as she never grew in a shaggy winter coat, and she seemed to be losing weight instead of gaining – despite molasses and grain supplementing her fall foraging. We started preparing to butcher, and this morning, in the cold, crisp November sunlight, we slaughtered our sweet goat and butchered her for stew meat. I feel so blessed to be able to not waste food that can nourish my family and give a good animal a gentle end of life. It’s beautiful to eat meat that has been raised and slaughtered with dignity, and for my children to see the cycle of life and death traced out in a healthy way. Our three remaining goats are healthy girls, I’m excited to send one off for a date with a buck later this month, excited for the prospect of kids in the summer, and so thankful that Seth is confident and capable enough to handle the goat butchering while answering all of Yarrow’s questions about bodies, bones, blood, and meat-processing. With Thanksgiving just under a week away and Advent soon after, we’re working to build a new, winter-y ritual into our daily lives. Later mornings, slower days, more time writing and talking and sitting close to the stove. I’m excited to start preparing my children to celebrate Christ’s birthday again, excited to finish stocking my pantry and freezer against the winter, and so looking forward to sitting down this afternoon to tea and biscotti while chowder simmers on the stove and my babes play around me. I’m also hoping some of you have good recipes for cooking an older goat! Send them along to me if you do, please!